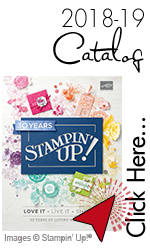 Mother's Day Blog Hop, Stampin' Up! Hope you are having a wonderful day:) Thanks for stopping by our Stamp It Group Mother’s Day blog hop! I am certain you will find a ton of inspiration for all of your card needs, but especially for the hardest working of all…..the Mom! Being a mom is the single most wonderfully exhausting tasks I have ever undertaken…….and I do not mean once I had my son. I was a mom long before that. To my brothers growing up, to my forever first fur baby Tasha, to my beautiful nieces and nephews. To friends who needed a hand, to new coworkers who needed a wing to learn under. Being a mom means so many different things to everyone. I want to honor those who are brave and selfless, kind and compassionate, and never stop giving even when they think they’ve nothing left to offer. I salute you and I hope you will give a hug or a smile. Give a tissue or a cough drop. Give a little bit of you into this weary world and all those little bits will make your heart sing! On to this oh so sweet card! I was thinking and choosing, could just not make up my mind on what card to create, and then this fell in my lap. I was perusing the current catalog and marking sets that will be retiring soon…..then the birds hit me…….in the forehead …….with their beaks 😉 I just love this set and wanted to show some birdie love (Sophie ) before it flies away. I used the Stampin Blends to color the birds in and sponged some all over sky with Soft Sky, which is also sadly retiring. I used Bermuda Bay because I just LOVE that color. I added the sentiment from the Cozy Cottage Host stamp set which will be gone soon too. I added a bit of Burlap Ribbon for some extra visual interest and some drops of Liquid Glue as “rain” drops. I did add in a bit of the new and SUPER FAB Share What You Love DSP. You will be able to order this very soon….May 1st in fact! I also added a bit of the reverse inside and finished it with Happy Mother’s Day from Teeny Tiny Wishes. Guess I was having a goodbye/retirement card as well…..must’ve been that kinda day. Be sure to follow all the way through the hop for many chances to enter to win the Lots of Happy card kit below! You need to leave a comment along with #stampitcontest to enter. That’s it, no purchase needed! Congrats to last months winner, Melanie Morris…hey, maybe next month it will be Y O U!! what a great card for Mother day! Love your card – so cute! Your cards are amazing! I love them! This is a cute card. Thank you Rachel! Beautiful card!! This is a great alternative for Mother’s Day! #stampitcontest Love this card and its intriguing fold. Thanks for sharing. Hugs and blessings. love the birds in the nest. #stampitcontest . Love me some birds, so always have to have all those stamps. #stampitcontest Love this card and the details like the ‘raindrops’ are excellent. Momma bird! Sophie should make this for ME! Love this stamp set…nice card. #stampitcontest Super cure card idea for Mother’s Day! Beautiful card! Thanks for this great give away! Love the bird nest for Mothers Day. I love ❤️ your cards! Oh that is too sweet. Such a beautiful card! I love the birds with the Momma and babies! I love your great ideas.